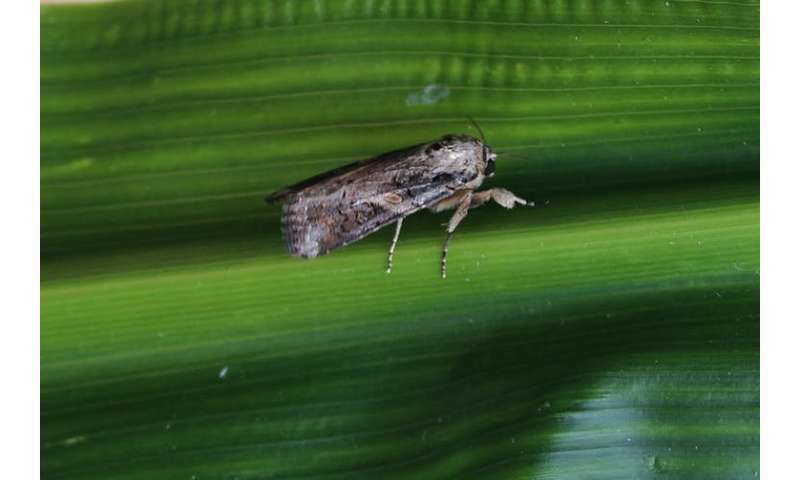 Cereal farmers across Sub-Saharan Africa are experiencing heavy losses due to the devastation by an invasive pest: the Fall army worm - Spodoptera frugiperda. In Africa it has caused huge losses to staple cereals, especially maize and sorghum, affecting food security and trade. Damage to maize alone is estimated to be between USD$ 2.5—6.2 billion per year. 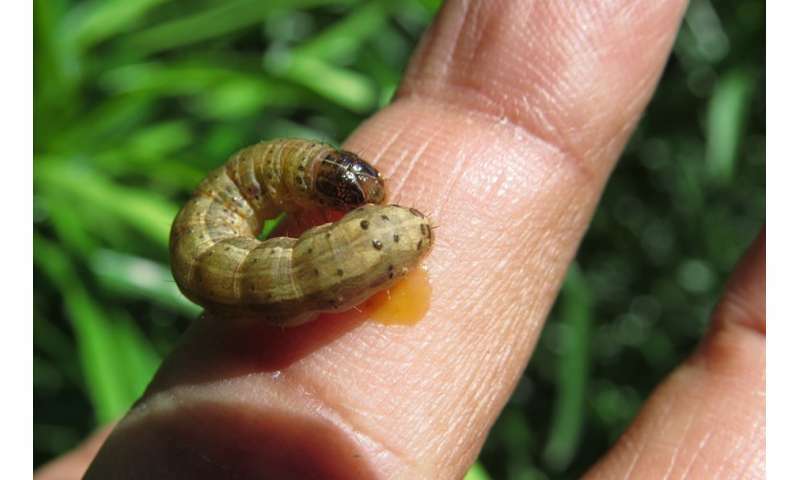 The fall armyworm's lifespan, from egg to larva to moth, lasts between one to three months. It's during the larva stage that it does the most crop damage. Controlling them is a challenge because they reproduce fast and in large numbers, can migrate great distances, hide within growing leaves and have been reported to resist several pesticides. Emergency responses by the affected countries have been based on the use of pesticides, but in most cases this has proven costly and not very effective. The speed with which they spread could be due to a few factors. Firstly, female armyworms produce a huge number of eggs (between 50—200 eggs per batch), and can have up to 10 batches within her lifespan. Secondly, the moths are carried by the wind across vast distances. Some have been known to travel up to 1,000km. Thirdly, numbers aren't being reduced by their natural enemies which means they can multiply uninhibited. For example, when a "trap" crop (such as napier grass) is planted around maize rows, it attracts stemborer moths to lay eggs on it. But, because the grass isn't nutritious, very few stem borer larvae will survive. If these natural enemies are reared in bulk, they can be released in huge numbers in affected fields and conserved. As they multiply in the fields, they can control the pest as they feed on the pest's larvae.